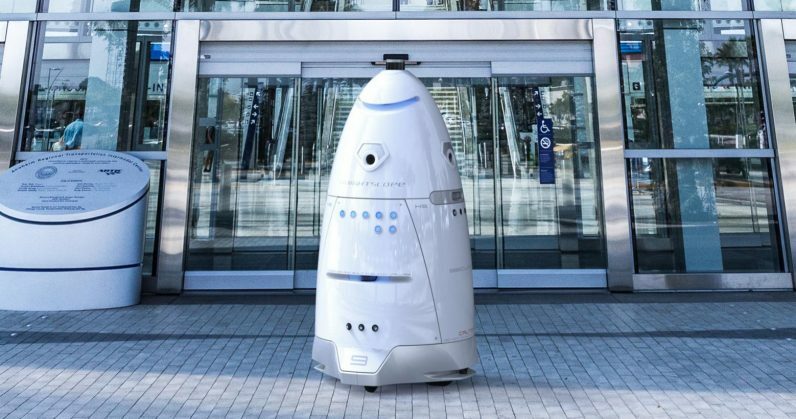 Last week, The San Francisco chapter of the Society for the Prevention of Cruelty to Animals (SPCA) was ordered by the city to stop using a security robot outside its office in the Mission District to clear the area of vagrants and homeless people. About a month ago, the nonprofit deployed a K5 robot developed by Mountain View-based firm Knightscope. It’s a hulking metal beast that stands 5 feet tall, weighs 180 kg (398lb) and patrols a pre-defined area at nearly 5 km/h (3mph). Using sensors and cameras, it detects unwanted presences around it and relays alerts to human security forces. The notion of an organization employing robots to shoo homeless people away from its premises is the sort of thing you’d read about in dystopian novels – but it seems like that’s quickly becoming the reality we live in. To be fair, the SPCA had a real problem on its hands to solve. “We weren’t able to use the sidewalks at all when there’s needles and tents and bikes, so from a walking standpoint I find the robot much easier to navigate than an encampment,” Jennifer Scarlett, the S.F. SPCA’s president, told the San Francisco Business Times. At the same time, the use of an imposing machine to tackle this is worrying: it leaves little room for human empathy to look for a solution, and doesn’t address the root of the problem. To again argue against this, the issues of homelessness and drug abuse aren’t exclusively the SPCA’s lookout. Before we worry about robot overlords, we should consider whether we really want them as our emotionless underlings.